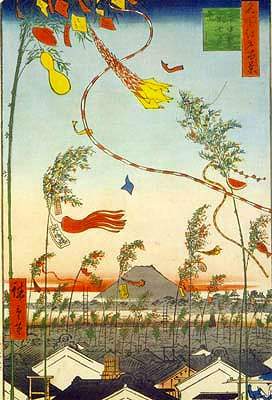 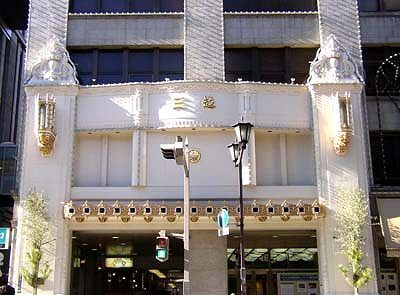 Nihonbashi, which literally means Japan bridge, was the starting point of Tokaido, the most important road connecting Edo with Kyoto and Osaka, in Tokugawa era. 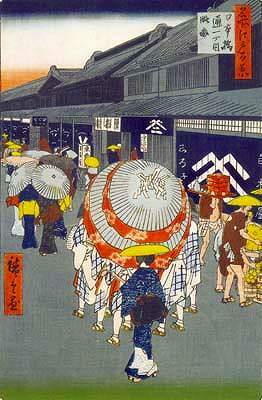 So the area around Nihombashi was the mercantile center in Edo. 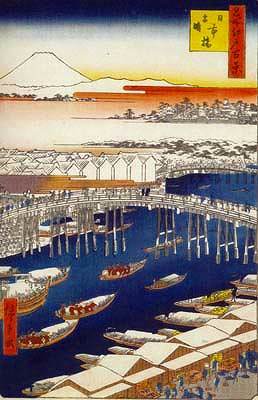 There was located a big market next to the bridge on the north bank of Dosan-bori canal, called Nihombashi river today, through wich products from all over Japan were brought into Edo. 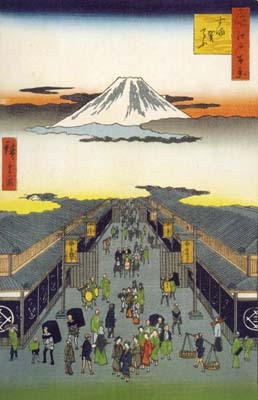 Big merchants like Echigoya or Shirokiya opened their shops along the street. 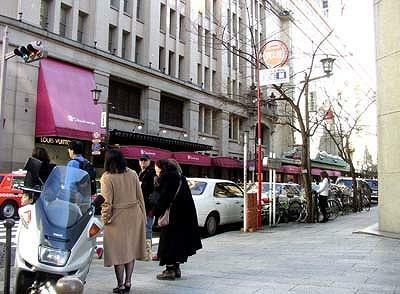 Nowadays, Nihonbashi remains one of the most important business district in Tokyo. 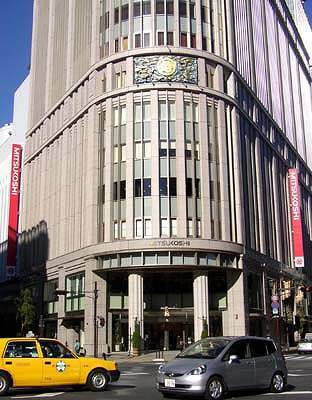 The bank of Japan and the Stock Exchange are located here, Mitsukoshi and Takashimaya, the oldest department stores in Japan, are located along the street. 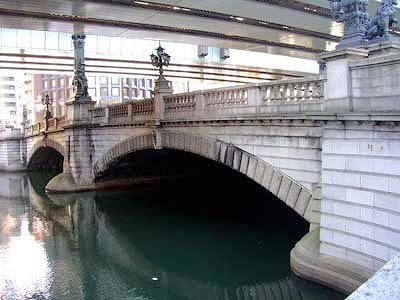 Nihombashi bridge was constructed in 1911 over Nihombashi river. 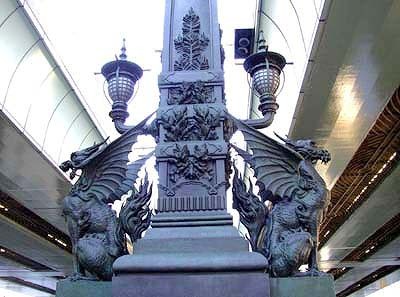 constructed along the river covering the bridge. 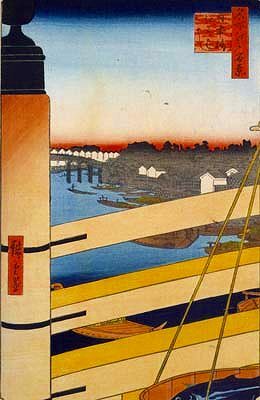 Nowadays the view of the bridge is not so beautiful as in the old days. 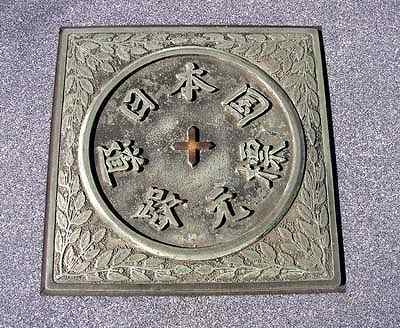 All distances of roads in Japan are measureed from this point. 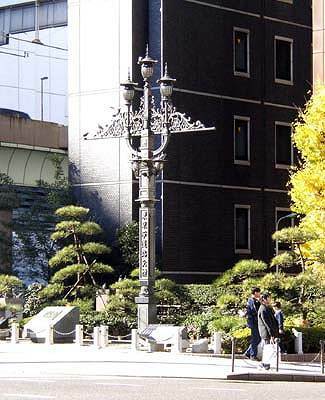 The right is the marker pole of Tokyo city authority. 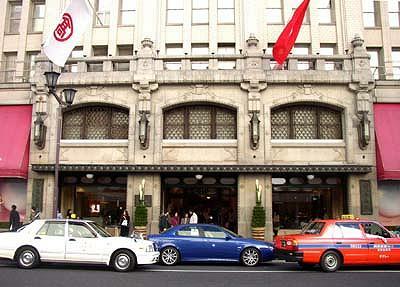 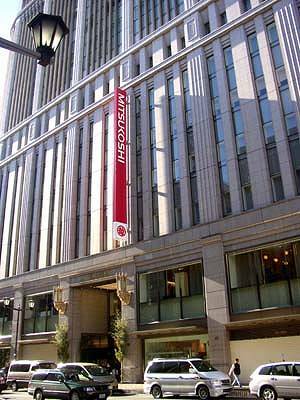 Mitsukoshi is the oldet and finest department store in Japan. 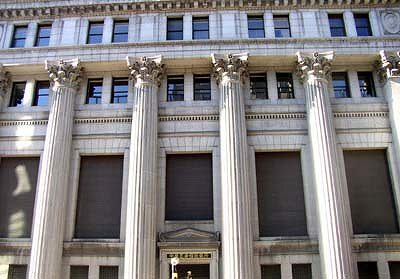 It is located north of the bridge.